As an active Mom, I think it is important to model healthy eating habits. After all, food is fuel. 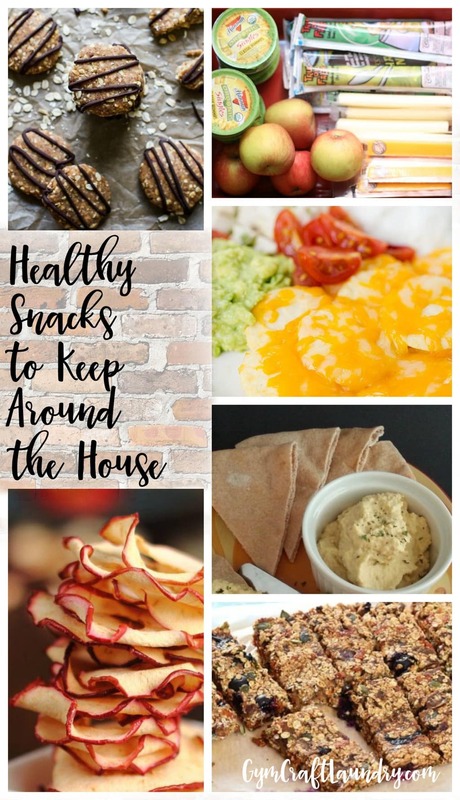 Keeping healthy snacks to keep around the house makes it much easier to keep my family eating beneficial foods even while snacking. I am constantly on the look out for new snack ideas to change it up so nobody gets tired of the usual snacks! I found so many wonderful new recipes that are super quick and easy plus some foods that I can just buy that I have not thought to keep around before. If you are trying to get into healthy eating or are just wanting some new ideas for snacks to keep on hand, then this is the perfect post for you! I found a wide variety of simple snacks to keep at home like fruits, veggies, cheese sticks, yogurts, etc. But also recipes for all kinds of yummy AND healthy snacks. This on-the-go snack kit is a great way to keep you and your family eating healthy even with a busy lifestyle! 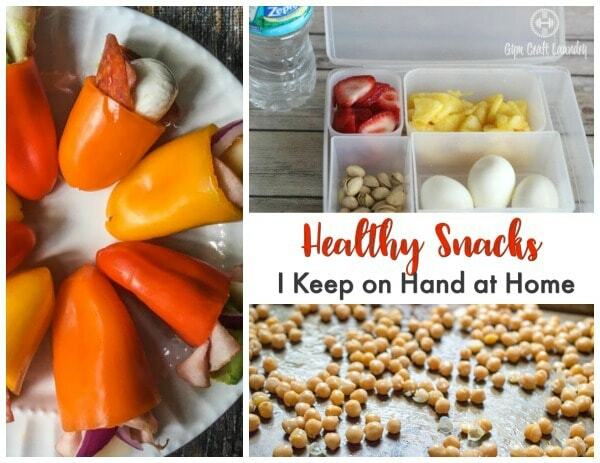 These are great healthy snacks to keep on hand plus a cute idea for a snack station! Here are two energy rich snacks to keep on hand! There are enough healthy snack ideas here to last a life time! Variety of healthy snacks and some tips on the importance of healthy snacking habits! 25 things you should keep on hand so you always have a healthy snack ready! 5 healthy snacks to keep at home that are also great for on the go! Great immune boosting snacks you need to keep at home! 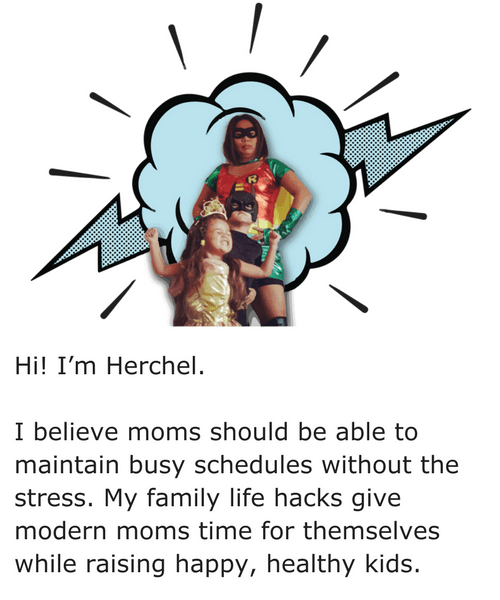 Quick and healthy energy boosting snacks for busy moms! Here are some healthy smoothie recipes for a quick and easy snack! These snack ideas look so yummy! A great guide to have for healthy snacking habits! Such a variety of fun, unique and healthy snacks! 30 filling snacks you can keep at home for you and your family! Here are some fun and healthy snacks that your kids will love! Apples and peanut butter! A must have snack in your home! These apple chips are a great healthy snack to make that will last awhile! Some out the the box healthy snacks that you should keep at home! These pear chips might be a new healthy snack I need to keep at home! Super fun snack you can make with things you keep in your fridge! This oat ball snack is a great food to have in the house when you or your family needs a quick pick me up! Trail mix is the perfect healthy snack to keep in your home! These roasted chickpeas look so yummy! Snacking helps keep me going and motivated. One of my health goals is to lessen how much coffee I drink. (Lessen—not eliminate.) I drink too many cups of coffee throughout the day and while I love the caffeine, I know the sugar and half and half I take either my coffee can add up to a lot of calories. So I replace at least one cup with a nutritious snack and I replace the jolt of caffeine with a special piece of gum. I’m resolved to growing my business this year and Alert Caffeine Gum is giving me the boost I need to stay on track with my planning! 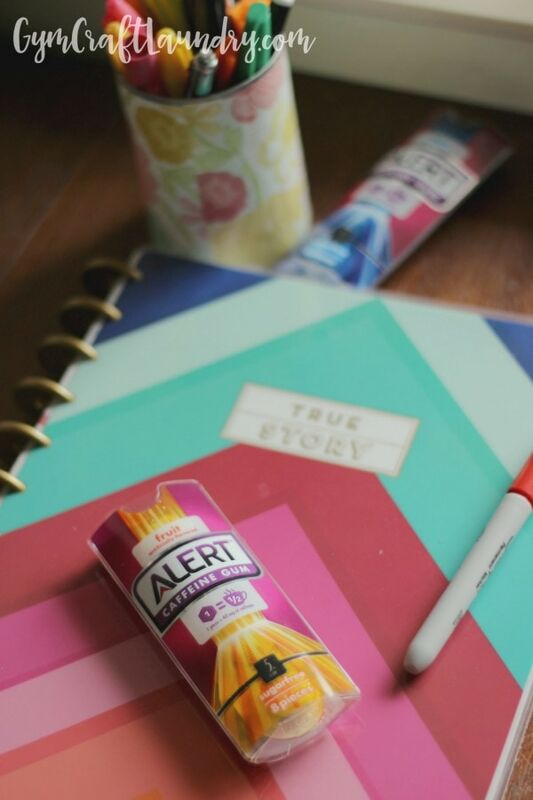 Each piece of Alert Gum has the same amount of caffeine as half a cup of coffee does, without the heaping spoonful of sugar and big pour of half and half that I like to put in my coffee. Instead of the white sugar and full fat creamer, I make sure to eat a snack with fiber and protein. What is your favorite healthy snack to keep at home? I hope you have a list ready for your next grocery store run! Let me know if you have some other healthy snack ideas! Don’t forget to pin this post so that you have snack ideas on hand whenever you need them!